Blacksmith and steel sculptor who fashions his creations in a unique and distinctive manner, preserving the natural color of the metal. 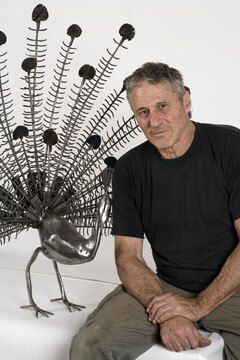 Katz uses various methods to creates his sculptures which he then heats in a coal furnace. His works are displayed in his home and in his studio, where he welcomes visitors, both groups and individuals.